And he’s succeeding, one wrongful conviction at a time. On November 12, 1992, Antoine Day was starting a career in music when he was convicted for a crime he didn’t commit and was sentenced to 60 years in prison. After spending nearly a decade in the notoriously violent Pontiac Correctional Center in Chicago, his conviction was finally overturned. But his nightmare was still not over. Instead of going home, he was sent to the county jail for another two years, where he was forced to share a cell with a man who had been convicted for killing Day’s son just months before. Instead he chose his only way out: solitary confinement. Then once he was finally released, he was given no means to notify his family and was forced to stand on a street corner in the rain — without cash or a cell phone — until an old friend happened to drive by and take him home. This is just one of the many extraordinary and enraging stories told in Wrongful Conviction, a podcast series that features interviews with men and women who have spent decades in prison for crimes they did not commit. With the rising awareness of America’s acute issue with racially prejudiced mass incarceration that sees black Americans incarcerated at an average rate of 5.1 times that of white Americans in state prisons, this podcast helps to expose a lesser known corruption in the system. Every episode is hosted by Wrongful Conviction’s founder, Jason Flom, a music mogul and longtime supporter of multiple projects to fix America’s justice system. Global Citizen had the chance to sit down with Flom to discuss the podcast, prisons and how on earth so many innocent people end up in jail, in the land of the free. At first blush, a music executive crowned “one of the most successful record men of the past 20 years” by the New Yorker, who discovered Katy Perry, Lorde, Kid Rock and MatchBox 20 among countless other stars, might not be expected to find such a genuine connection with people who have spent decades in prison. But Flom’s empathetic nature — as he terms his inner “‘social worker”’ — helps to coax harrowing yet inspiring stories out of all the exonerees he interviews, from Amanda Knox to Raymond Santana (of the famous Central Park 5). These raw and uncensored interchanges are a captivating listen, and have ensured the Wrongful Conviction series hit No. 7 in the iTunes podcast chart. Flom has been heavily involved in this work for over 25 years. Looking to “help people who were helpless,” in the early '90s Flom stumbled upon an article about a man who had been denied parole and was serving 15-to-life for a nonviolent first offense in New York state. After calling the man’s mother, asking what he could do to help, and discovering they had exhausted all their appeals, Flom contacted a defense lawyer who represented two of his artists — Stone Temple Pilots and Skid Row — whenever they were in hot water. While poring over the transcripts of the case the lawyer found a loophole to exploit and they ultimately won the case. From there, Flom was hooked. Now 56, Flom is a founding board member of the renowned Innocence Project — the co-founder of which, Barry Scheck, said of Flom “He’s the bomb, Innocence Project couldn’t do without him.” Flom also serves on multiple boards of organizations working on the frontlines of justice reform including Families Against Mandatory Minimums, and the NYU Prison Education Program. He is also an expert on commutations having worked directly with Bill Clinton to grant clemency to 17 prisoners, and is personally responsible for dozens of others — and as announced on his instagram just last week, he recently helped secure two more. One of the most striking themes in the podcast is the recurring issue of false confessions, that Flom says provide “the most powerful tool of all” in persuading a jury or judge of a defendant's guilt. Indeed, according to the Innocence Project — a group dedicated to freeing the wrongly imprisoned through DNA testing, nearly a third of the 337 people who’ve had their convictions overturned had confessed falsely. Which begs the question, why are so many people confessing to crimes they didn’t do? It’s thought that many of these false confessions are the result of a flawed interrogation process called the Reid Technique. "They've effectively replaced physical torture with psychological torture." Ironically the method emerged as a more humane alternative to previous methods, which could be best summed up as “torture.” And now, as Flom puts it, "They've effectively replaced physical torture with psychological torture." 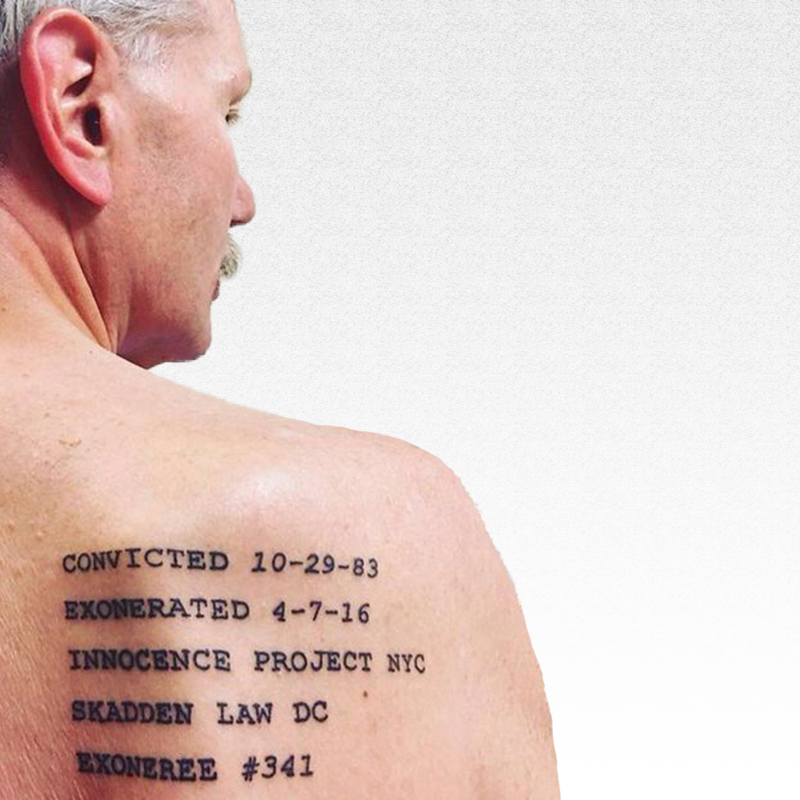 According to data in the National Registry of Exonerations, young people are particularly vulnerable to admitting guilt for crimes they did not commit under the Reid Technique. A dangerous outcome considering all states in America allow children under the age of 18 to be tried as adults for certain offenses, and where nearly 200,000 youth enter the adult criminal-justice system each year. Flom related the story of exoneree Johnny Hincapie — who was released in 2015 after 25 years in prison for a murder he did not commit — to capture the pressure that many false confessions are extracted under. Painstakingly illustrated in countless episodes of Wrongful Conviction is the heightened vulnerability of people who are actually innocent to these aggressive tactics. Like exoneree Vanessa Gathers, whose story is chronicled in Season 4, and who like many others waives her Miranda rights and does not request a lawyer for many hours of interrogation, because she didn’t believe she was a suspect. And as Flom puts it, even if you realize you're a suspect a lot of people go into it thinking, “Well I'll just tell the truth and then I can go home — because I have an alibi!” And even once convicted, many of the exonerees on the series express the belief that the truth will come out, that someone in authority will emerge to quickly right the wrong, only to spend decades in prison. Confidence in this interrogative approach is falling. One of the largest consulting groups that works with the majority of US police departments announced last year that it will stop training officers in the Reid technique. Many other systemic flaws that go beyond police interrogation tactics enable convictions of innocent people. For example, prosecutors and judges rarely face consequences for misconduct. What’s more, a prosecutor who knowingly submits false evidence in a case that results in the wrongful conviction — and that includes the execution — of an innocent person under the law, cannot be personally sued for damages. “The two questions I get asked most often are: does the exoneree get compensation? And does anything happen to the prosecutor if they willfully broke the rules? And, the answer to the first one is sometimes, and the answer to the second one is almost never,” Flom told Global Citizen. Some hold the view that there are valid reasons for the existence of prosecutorial immunity — critically that if prosecutors can be vulnerable to lawsuits for their work, they may shy away from filing charges except in clear cut cases. Yet you compound prosecutorial immunity with the reality that professional incentives for prosecutors are largely driven by quantity of convictions, and you get a system that not only does not punish prosecutors for malpractice but frequently promotes them for it. This was arguably the case in the tragic story of Noura Jackson, who Flom has “all but legally adopted,” and holds a particularly moving interview with on the podcast. When Noura was just 18 years old, her mother, Jennifer Jackson, was stabbed 50 times, leaving Noura an orphan (her father had been killed just 16 months before) with no siblings. Despite there being no physical evidence connecting Noura to the murder, no trace of her blood or DNA was found at the crime scene and there was biological evidence of other people having being there (including a clump of blond hair in Jennifer Jackson’s hand — Noura is brunette), Jackson was convicted of killing her mother. Critically, prosecutors Amy Weirich and Stephen Jones withheld esculpatory evidence from both the judge and the defense before the trial. The Tennessee Supreme Court called this behavior "gross misconduct" and a “flagrant violation” of Noura’s constitutional rights, when presenting their unanimous ruling to overturn her conviction in August of 2014. Yet Noura’s already nine year imprisonment did not end here. It took two more years for Noura to get out of prison. And due to the Memphis prosecutors refusing to vacate the original indictment, Noura was still forced to plead guilty to manslaughter, which meant relinquishing the chance to ever find who killed her mother. Besides battling wrongful convictions and mandatory minimums, Flom is also waging war against the US bail system, which routinely penalizes the poorest people in society. He helped establish the Bronx Freedom Fund (which is now going national) and financed the recently enacted New Jersey bail reform which has virtually eliminated cash bail in the State. At any one time in America, there are nearly 500,000 people languishing in jails — waiting for days, weeks, months, and even years to go to trial. "They are simply there for being poor,” Flom told Global Citizen. "A system in which Sandra Bland goes to jail and Robert Durst goes home is a broken system." Two thirds of people in jail were already below the poverty line before their incarceration, and had little access to quality education, according to a report compiled by the US Justice Department. More than 50% of Americans are unable to gather $400 in an emergency, and the average bail amount sits at around $10,000. Unaffordable cash bail is one of the largest drivers of mass incarceration in the US — over the last 15 years, increases in pretrial detention accounted for 99% of all jail growth. Growth which is undoubtedly behind why the United States is one of only two countries in the entire globe that has a for profit bail industry. “A system in which Sandra Bland goes to jail and Robert Durst goes home is a broken system,” Flom said. When someone is detained and cannot afford to pay their bail, they have two choices: plead guilty to the crime or sit in jail until the backlogged courts can bring them to trial, which in many cases can take years. That’s time when they could lose their jobs and homes, perpetuating the cycle of poverty. That’s why 90% of people plead guilty so they can go home, even if they did not commit the crime. And as Flom expresses it, this desire to go home, even if it means with a criminal record for something they didn’t do, is entirely understandable when you hear some of the exonerees' stories about pretrial jail on Wrongful Conviction. Ryan Ferguson, who was wrongfully convicted of second-degree murder and robbery and sentenced to 40 years in prison, talks about the “intense claustrophobia” he felt while awaiting trial — saying in his first year in pretrial detention he was only allowed outside twice. There were no windows in the cell he shared with eight other men, who in the eyes of the law at that point are supposed to be “innocent until proven guilty.” Another interviewee who Jason Flom has developed a close relationship with is Mark Denny, who served 30 years in prison for something he didn't do. Denny said that after spending three days in the infamous New York City jail, Rikers, he would rather do another 30 years in prison than three days in Rikers. Jails are supposed to be temporary and thus have fewer resources devoted to them than prisons, according to a report from the Open Society Foundation. And the story is much the same across the globe. Worldwide data from the World Health Organization reveals that suicide rates among people stuck in pretrial jails are three times higher than among sentenced prisoners. In fact the global prison crisis is next on Flom’s list as he is soon off to give a TedX talk in Luzira prison in Uganda. In Africa some facilities are so overcrowded people are forced to “lie in the same direction and then turn over at the same time, and some have to stand up while others are sitting down,” Flom rails. After so much exposure to such brutality you’d think that Flom might have a dismal view of humanity. Yet, he says, there is good reason for hope. Awareness of the brokenness of the system is at an all time high Flom notes thanks to series like “Making a Murderer” hitting mainstream culture and the 2015 “bombshell FBI report” in which microscopic hair analysis exposed how FBI expert’s testimony contained erroneous statements in at least 90 percent of hundreds of trial transcripts — trials in which every single one of them ruled in favor of the prosecution. Although Flom's hope also seems to stem from the many people he has spoken to while recording the podcast, who never lost theirs — even though they were betrayed by a system allegedly there to protect them, kept from their families for decades and exposed to untold brutality while incarcerated. So go on, download it now. One listen and and you’ll become an advocate, and as Flom says, even more importantly, you’ll also likely be a juror at some point, so make yourself a woke one. Plus for every download of the podcast, Jason donates a dollar to helping free wrongfully convicted people from prison — now that sounds like justice. 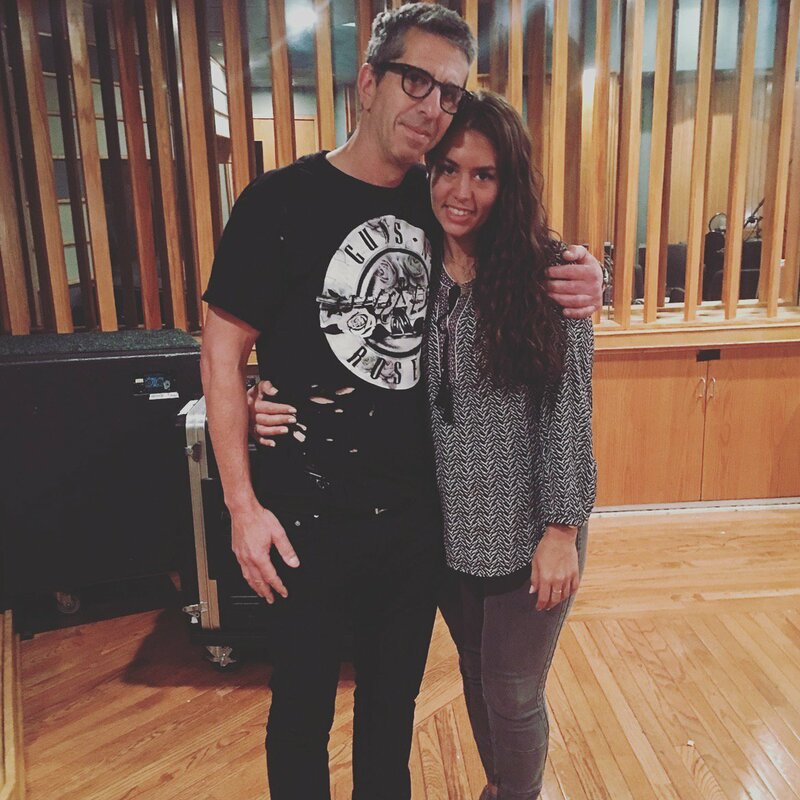 Wrongful Conviction with Jason Flom is available on iTunes, iHeartRadio, Google Play, and Spotify.